We have enjoyed so many picture books by author, Grace Lin. The two that have clearly remained our favorites are “The Ugly Vegetables” and “Red is a Dragon”. 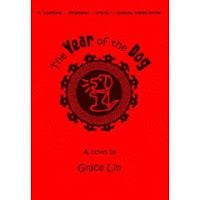 Familiar with Grace Lin's simplistic and lucid writing style, I was curious to check out her debut novel, "The Year of the Dog" (published in 2005). I therefore brought the book home this summer for my 8 year old who seemed ready for middle grade novels. Through a voice, honest, funny and gentle, in her novel, Grace Lin weaves a story revolving around culture, traditions, family, friendship and school. With no excess frills, she evocatively illuminates the experiences of Taiwanese American culture, an aspect of the American melting pot that many may not be aware of. The story begins with Pacy's family celebrating Chinese New Year. It happens to be the Year of the Dog. The main plot centers around Pacy, the protagonist, who hopes the Year of the Dog turns out to be a lucky one. Pacy makes a new friend at school, another Asian-American girl. The two girls share many delightful moments together. From science fair to sharing aspects of their culture and even a crush on the same boy, the girls work their way in between two cultures. The weaving in between two cultures was completely relatable - an oft- reverberating theme in our family as well. Pacy wins the natinal-book writing contest that year. The year does after all end up being a great year in which she eventually succeeds in "finding herself". Interestingly, the narrative is made of several short anecdotal family stories. The incidents and stories that Pacy's mother share from her own childhood in Taiwan, naturally help Grace/Pacy connect to her Taiwanese roots. A realistic and gentle, yet a fun story sprinkled with interesting details about culture, school and assimilation enthralled my little girl.The text is also accentuated with precisely done, little ink drawings, which can be appealing to children who like seeing pictures in their chapter books. The author who is also the illustrator has done a remarkable job in capturing the imagination of the young reader in my house. The novel is a quick read yet profound and can be fun to explore by children of all backgrounds. Discovering some underdogs in young adult novels has been lot of fun. I particularly enjoy bringing home young adult novels that portray diverse cultures. Friendship stories being one of her favorite themes, this book clicked instantly with my eight year old, whose best friend also happens to be a girl of Chinese-American heritage. Much to my delight, both the girls read the book and its sequel over the summer. "Dim Sum for everyone" and "One is a drummer" (illustration) have brought Grace Lin to us! This seems to carry all elements in good propotion for the target age grp...will wait for R to pick this one up! Thanks P for this pointer in the YA / novel category. Thanks Prabha, for introducing me to this lovely book. I like reading about other cultures, and Pacy sounds wonderful. This one seems like it will be much appreciated by the 9yr old here. As also by her kid-lit smitten mother. Thanks for this pick, Prabha. 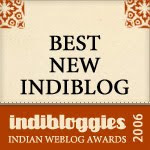 What a fantastic pick and so beautifully written review Praba ! Makes me immediately want to read the book for myself. "Red is a dragon" review is so vivid in my memory...KM's right ? Praba, have you tried her latest one - 'Where mountain meets the moon'? The book 'mountain meets the moon' reminds me of Lin Yi's Lantern - the next book being reviewed by tharini. Grace Lin is an author we haven't yet read. You make me want to! Thanks for the recommendation Praba. Will check it out. I have had my eye on 'Where the mountain meets the moon' for a long time now. Looking forward to being lucky and the underdog coming out a winner- themes that never fail to move me. Red is a dragon which I read after reading the review here (kodi's mom inst it?) was a super duper hit here too. Should check this out..